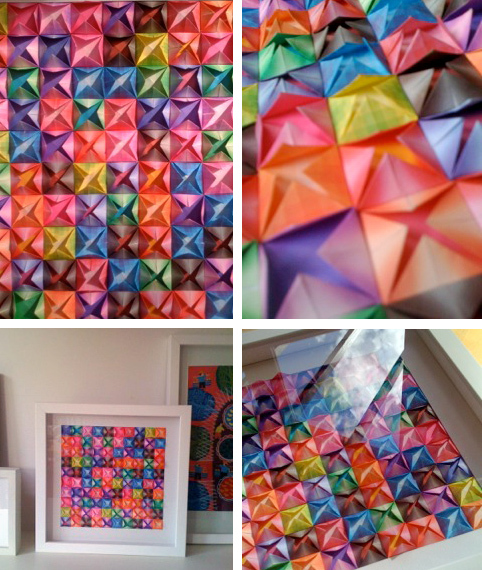 If you're a long-time reader here, you may remember that Roxy (aged 7) is somewhat obsessed with origami. When she discovers a new thing to make she'll fold dozens of them. 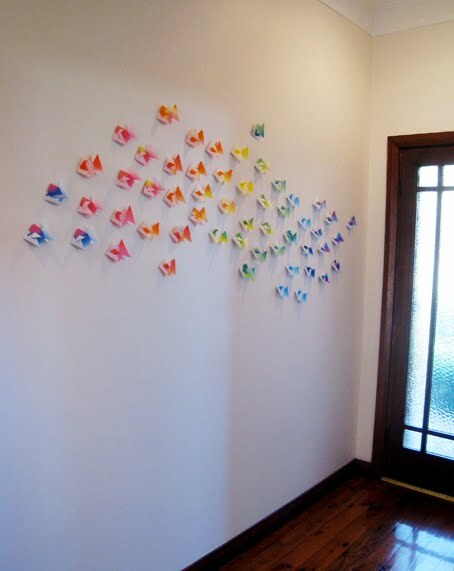 Last year when she was six she had a thing about origami fish, so I created an installation in the hall near our front door. 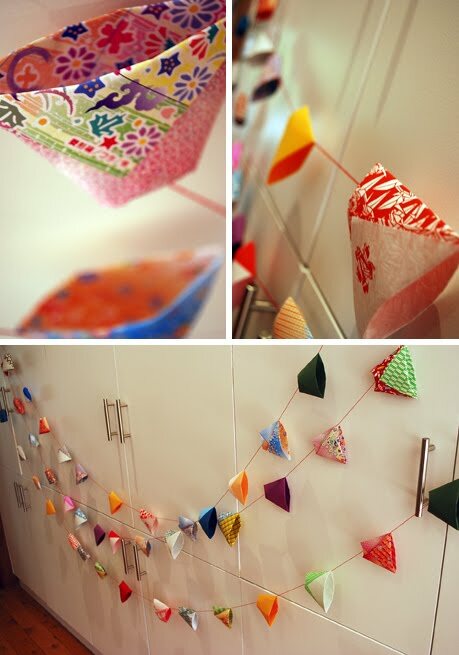 When she was five she loved making origami cups, so we made garlands from them. Recently we bought some new, very small, origami paper which is 5 cm (2 inches) square. So Roxy set to work making every origami design she's learnt in miniature, including chatterboxes which she asked me to write on in teeny tiny writing. Last weekend she called me over to see what she'd created (the photo below on the right). 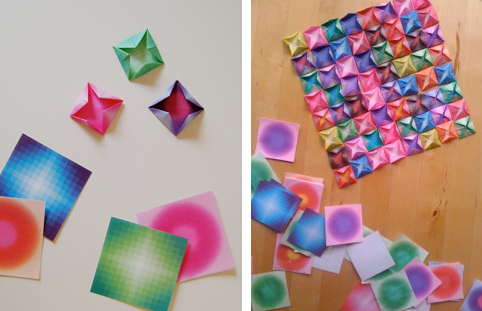 She calls it "origami patchwork", and it's made up of dozens of tiny chatterboxes! I loved it and immediately went looking for a frame so it could be on permanent display. 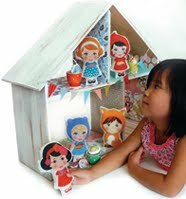 You can find chatterbox directions here - to make Roxy's patchwork origami complete steps 1 - 4. 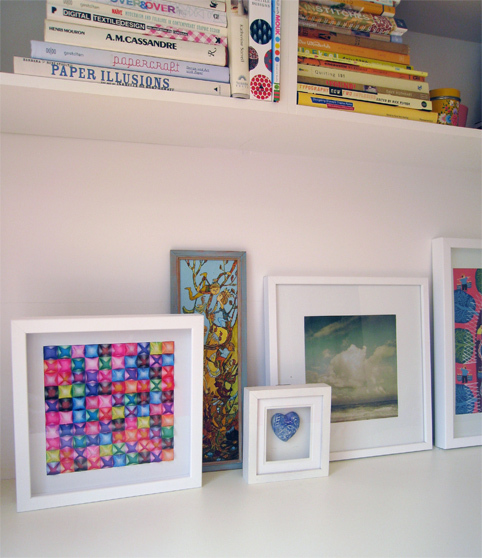 So now we have three 'artworks' in our home that only cost a few dollars for a packet of origami paper. I used a box frame we already had for the origami patchwork, but you could also stick the chatterboxes to a piece of card with double sided tape and the blu tac it to the wall. 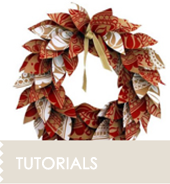 They would also look pretty great in a larger size attached directly to the wall. Email me some photos if you try any of these ideas!